Sphalerite is made up of zinc sulfide, the chief ore of zinc, and is a part of the Sphalerite group. It may be yellow, brown, red or black. 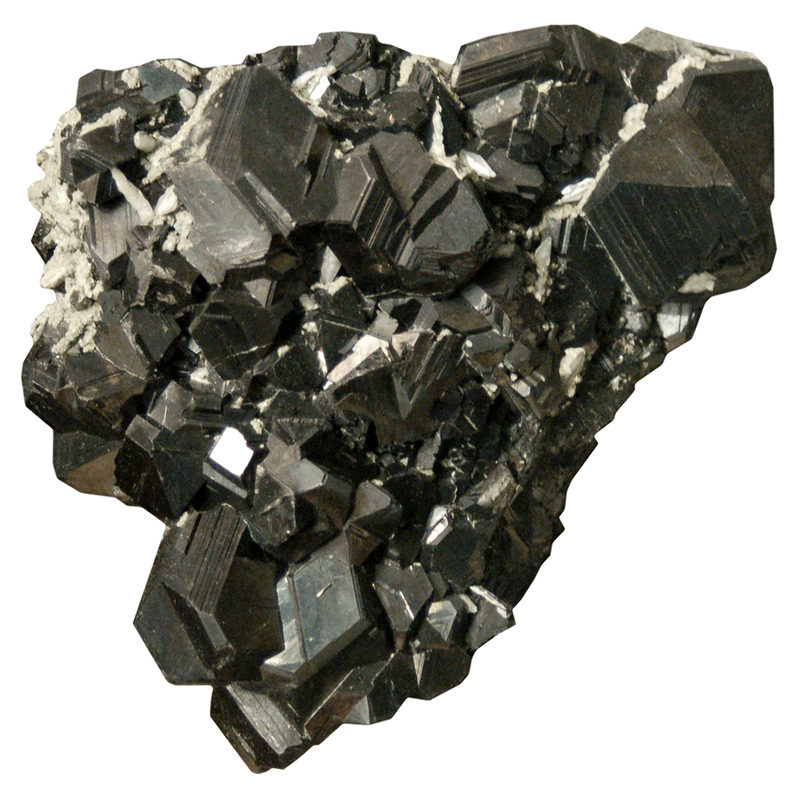 In its black variety, Marmatite, the mineral contains high concentrations of iron and is sometimes called Black Jack. Sphalerite is also known as Zinc Blende. The red version may also be called Ruby Blende or Ruby Jack, but contains little to no iron content. Sphalerite is a grounding stone, working well with the lower chakras. It helps to balance male and female energies and increases vitality when you need it most. Sphalerite is also known to help you weigh the good and the bad in difficult situations. It also eases the transition period, especially when changing jobs. When used in mediation, Sphalerite may increase our psychic qualities, whereby information is more easily received, and we may be better able to discern reality from illusion or deception. Physically, Sphalerite may help with problems associated with both male and female reproductive systems; increase libido and energy; protect the immune system, and alleviate infections and fevers. Click here to see Sphalerite in our online catalog. Question: What gives you energy?